© Provided by AFP Recep Tayyip Erdogan's poll success tightened his 15-year grip on power in the face of a revitalized opposition. President Recep Tayyip Erdogan will on Monday be sworn in for a second mandate as Turkey's head of state after his election triumph last month, assuming sweeping powers granted under a new constitution, a presidential source said. Erdogan, who has dominated Turkey first as premier from 2003 then president from 2014, scored an outright victory in the first round of the June 24 elections with 52.6 percent of the vote. Those elections were particularly crucial as it is only after the polls that the new presidential system, which was agreed in a 2017 referendum and opponents fear will lead to-one man rule, comes into force. Erdogan will be sworn at the parliament, a presidential source who asked not to be named, told AFP. State media reports said the oath ceremony would be at 1300 GMT. Two hours later a "transition ceremony" marking the shift to the new system will take place at his vast presidential palace on the outskirts of Ankara, Anadolu news agency reported. The Turkish leader is expected to deliver a speech during the ceremony to be attended by leading figures from business, art and sports as well as foreign heads of state, according to the Hurriyet daily. The ceremony will be followed by a dinner and then Erdogan is due to announce his new cabinet, it said. Under the new system, Erdogan will enjoy greater powers with the authority to appoint and sack ministers, judges and other state officials. The post of prime minister, currently held by Erdogan's ally Binali Yildirim, is to be scrapped as of Monday, leaving the president in full and sole charge of the government. A decree published in the Official Gazette on Wednesday formalized the transfer of some duties and authorities of the cabinet to the president. Also, the references in certain laws like "cabinet" and "prime ministry" have been changed to say "president" and the "presidency," according to the decree. The new regulations will come into force on the day the president is sworn in, Anadolu said. The new parliament is meanwhile expected to be sworn in two days earlier on Saturday. 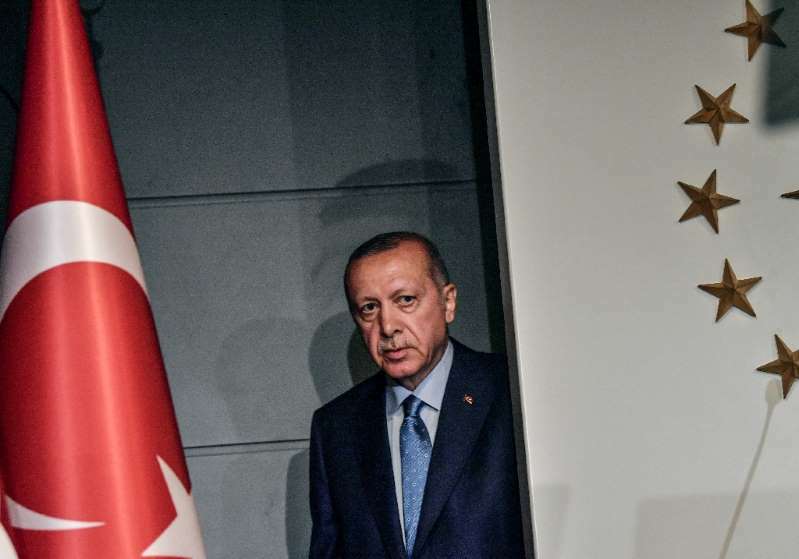 Erdogan's ruling Justice and Development Party (AKP) has failed to secure a majority in the 600-seat parliament on its own in the June elections. But it does enjoy a clear majority within a pact with its partner the right-wing Nationalist Movement Party (MHP).